Close to the golf course with sea view, 7 till 8 persons - Rent,a,House,Spain, holiday, bookings, Altea,La Vella,, Albir, Calp(e), Moraira, Javea, Benidorm, Alfaz del Pi, La Nucia, Alicante, Valencia. (ref:102) On walking distance from the golf. Completely renewd villa with large garden and private swimming pool with roman steps. A living and kitchen up stairs and a living and kitchen down stairs in a separated apartment. Many lovely sunny terraces with sea view and a well maintained garden. A villa that has all space and luxury you can wish for. The villa is on the sierra the most upgraded area from Altea and surroundings. There are 3 double bedrooms and one singel. 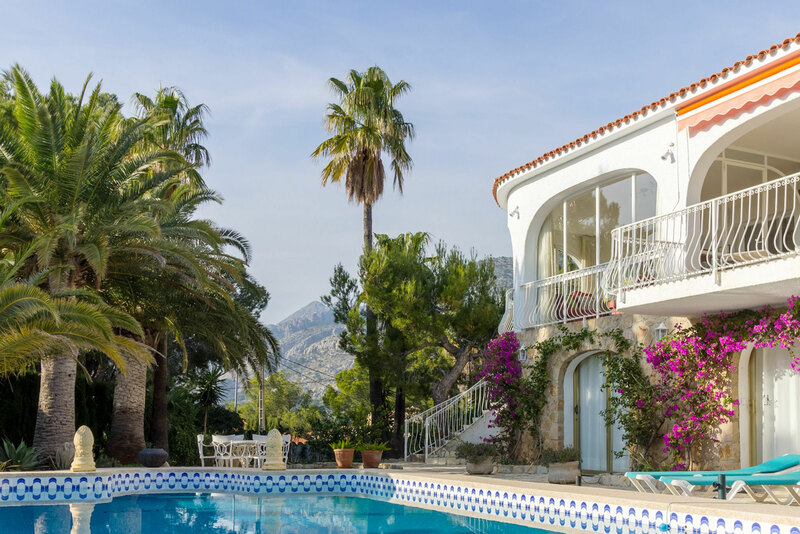 The surroundings from this villa are many, like Benidorm, Alicante, Alfaz del Pi, Albir, Calp(e), Moraira, Javea and offcourse Altea and Altea la Vella self.